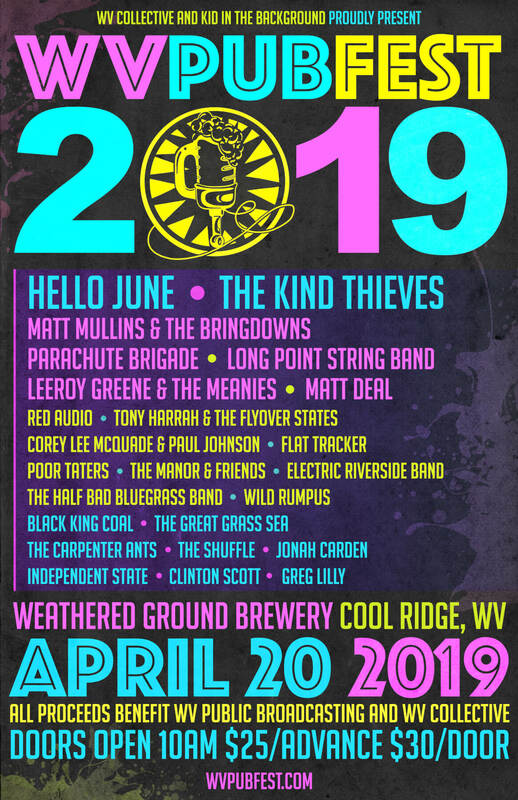 All the best things about WV will converge on Saturday, April 20th at Weathered Ground Brewery for the second annual WV PubFest – A WV Music & Craft Beer Festival. Musicians from around the Mountain State, Craft Breweries, Food Vendors, Artists, and Craft Vendors will all join forces once again to help raise money for West Virginia Public Broadcasting! Come experience the best live music and craft beer that West Virginia has to offer, all while helping to support such a crucial organization.